Project CARS is promising the largest roster of race locations of any recent racing game. With multiple layouts of tracks (and awesome highways) from around the world, the variety of experiences will be immense. Just watching this trailer with a selection of them is dizzying. Here is the shiny new trailer for Project CARS showing of the length and bendiness of some of the tracks. Holy heck, this game looks gorgeous. Those visuals, especially in the rain, are absolutely stunning. I know a racing game goes far deeper, looking at physics and how the cars handle and all of that, but wow – I might actually want to play the game just to look at how pretty it is. 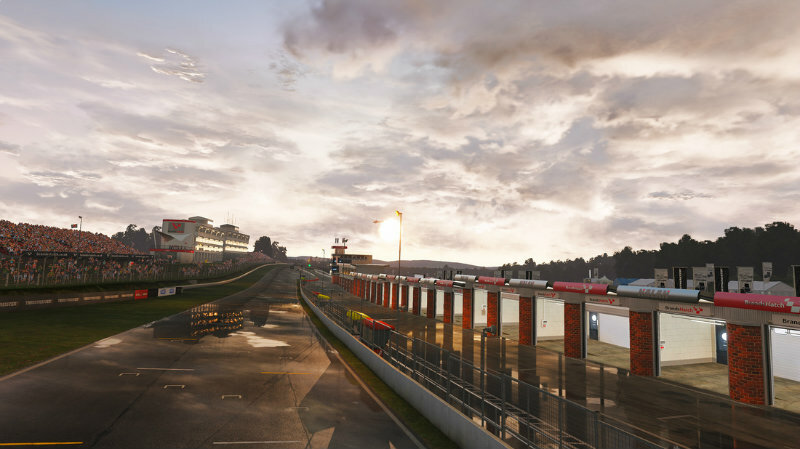 If you’re wondering about the full list of tracks, you can check them out on the Project CARS page. I find it endlessly amusing that the California Highway is on the track list. Then again, it is one of the most beautiful drives, running along the length of the western coast of America with a view of the Pacific Ocean the whole way. It’s absolutely stunning and I can’t wait to see it recreated in Project CARS. Which track are you most excited for? Are you all about the Dubai Autodrome or are you gunning to speed around all those corners in the Hockenheim Ring? Or perhaps you just want to customize your car and you’re less worried about where you actually drive it. Then again, who can resist that gorgeous, smooth asphalt?